If you were a drink, what kind of drink would you be? A modest but honest after-work beer? A mustache-twirlingly innovative craft IPA? A delicate artisanal wine? Perhaps a flashy cocktail with a memorable name? Berlin has a local, hand-picked bar for you no matter what glass you come in. Our locals have your back, so buckle up, for the night is long and full of wonders. “Basalt” in Berlin is committed to the color green — from the plants, to the counter, to the tiles. I adore their cocktails & recommend the Mezcal Mule. 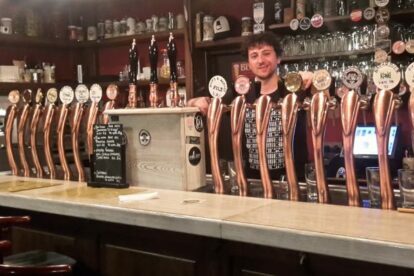 “Birra” Berlin is an Italian craft beer bar. 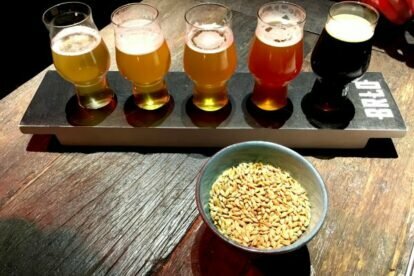 Tons of brews on tap, cozy interior & what I really love about it: the specialties, like e.g. the tomato beer! 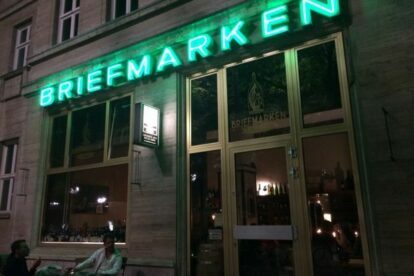 “Briefmarken” in Berlin used to be a postal stamp shop – now an intimate restaurant run by Italians. 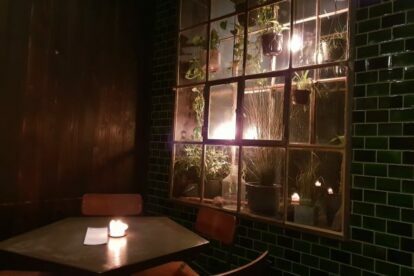 A perfect place for a romantic dinner w/ Berlin magic. “BRLO Brwhouse” in Berlin is one of my favorite breweries in the city. I recommend ordering a tasting board, but I usually get a ‘Berliner Weisse’ myself.